The return of LeBron James to Cleveland automatically places the Cavaliers as a top 5 seed in the 2015 NBA Playoffs. This is a true “feel good” story of a young man who strayed away from home, only to be lured back four years later. Who will ever forget the infamous “decision” which saw James literally break the hearts of each and every Cavs fan, by leaving for the Miami Heat? James has always kept an open mind in regards to a possible return to Cleveland. After appearing in four straight NBA Finals with two title wins, LeBron has achieved his goal of winning a NBA Championship. Now his goal is to bring a championship to his hometown Cleveland Cavaliers. In his first seven year stint with the Cavs, James was only able to guide them to a single NBA Finals appearance. The possibility of attaining Love is enough to put Cleveland over the top in regards to the Eastern Conference. The East has become more competitive than it’s been in the last four years. Chicago has made a big splash with the additions of Doug McDermott via NBA Draft and Pau Gasol through free-agency. The return of a 100% Derrick Rose will make the Chicago Bulls a viable threat to Cleveland. Kevin Love’s addition will give the Cavs a legitimate big man who can play in the post, grab double-digit rebounds and stretch the defense with his three-point shooting. 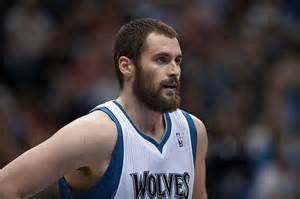 The Kevin Love trade has not been made because the jury seems to be split in regards to number #1 draft pick Andrew Wiggins. Some believe the Cavs should not trade away their future, while others believe K.Love is NBA ready by the career he has showcased so far. Wiggins has to “show and prove” his value on the court. Most believe LeBron has a win now mentality that does not include waiting for a prospect to develop into a player. The issue for Cleveland will be on the defensive end of the court. James is the only legitimate star on defense while no other player on the roster can make that claim. If LeBron can make his teammates buy-in on that end of the floor, they will definitely be good enough to beat the competition in the Eastern Conference.